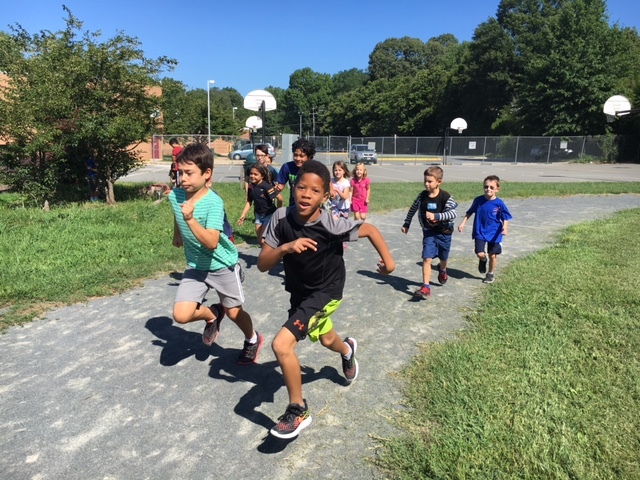 Run Club is for boys and girls in grades K-5 who come out to run for fun and fitness! Kids run in groups with their peers. Throughout the class, coaches engage the kids in super fun running activities, such as sharks and minnows, tag games, relay races, and team racing competitions. We find that kids run so much more when we include running games or running competitions throughout the hour. During just running time, kids will run laps and track their distance/number of laps by picking up a popsicle stick at the completion of each lap and work toward running longer distances throughout the session. When weather permits, parents are invited to the last class of the session to run with their kids!